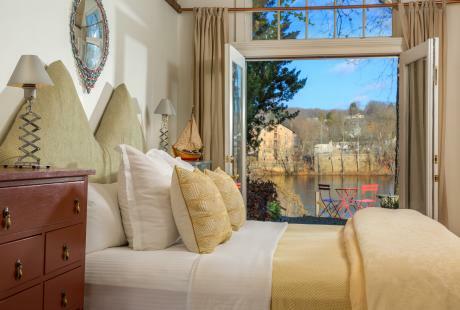 Treat yourself to French doors, private balconies, fireplaces and luxurious penthouses at the only riverfront B&B in Bucks County, the Bridgeton House on the Delaware! 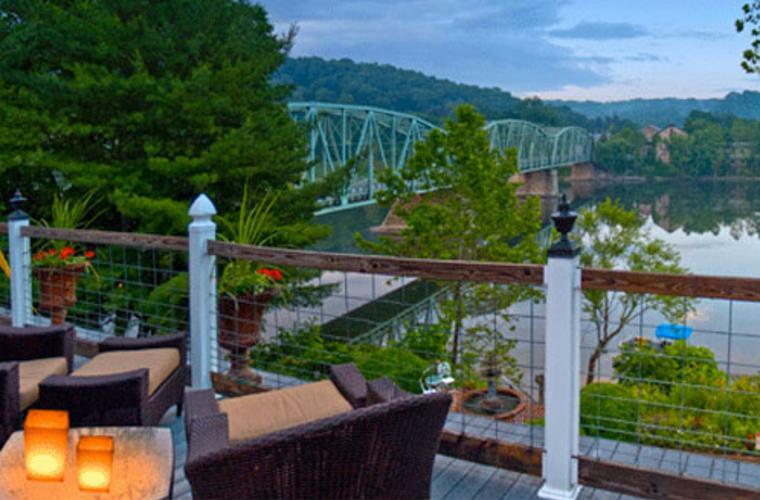 You can swim, fish and bird-watch from a private dock at the New Hope bed and breakfast. 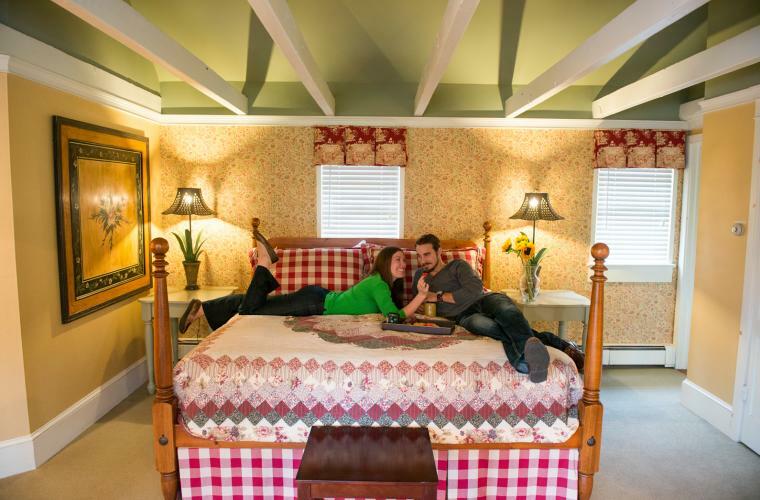 Enjoy a luxurious getaway that you will never forget at the Woolverton Inn. All stress will fizzle away when you ease yourself into a warm and comforting whirlpool tub or let everything go as you enjoy a calming massage in the privacy of your own room. The elegant Manor House and private cottages are surrounded by 100 acres of serenity. 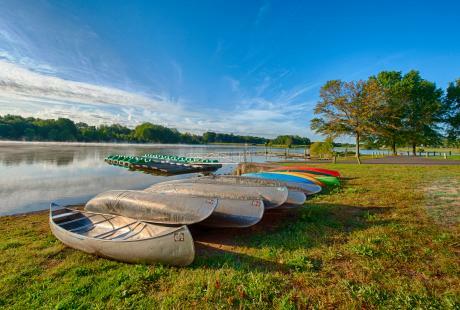 Immerse yourself in the beautiful Bucks County countryside at The Inn at Barley Sheaf Farm. 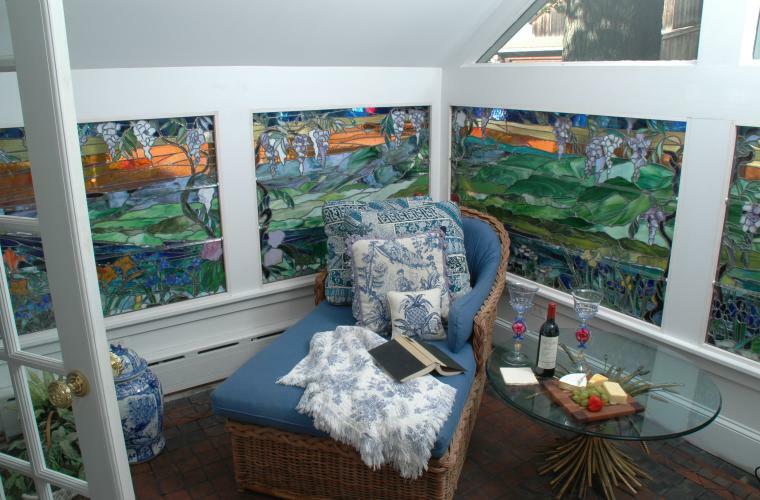 The historic inn offers elegant private cottages and suites. Enjoy select spa accommodations with natural herbal treatments or relax with an entire half-day of pampering. Delicious breakfast awaits you at the beginning of each day, and a gourmet brunch is served every Sunday morning. 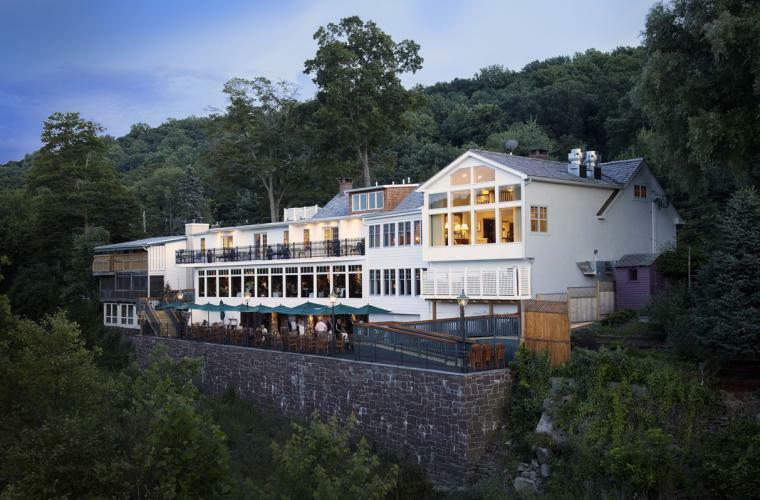 Situated along the scenic Delaware River, The Black Bass Hotel provides all the comfort, luxury and relaxation you deserve in an overnight stay! Choose from nine unique suites, each with its own special decor, private baths and balconies. 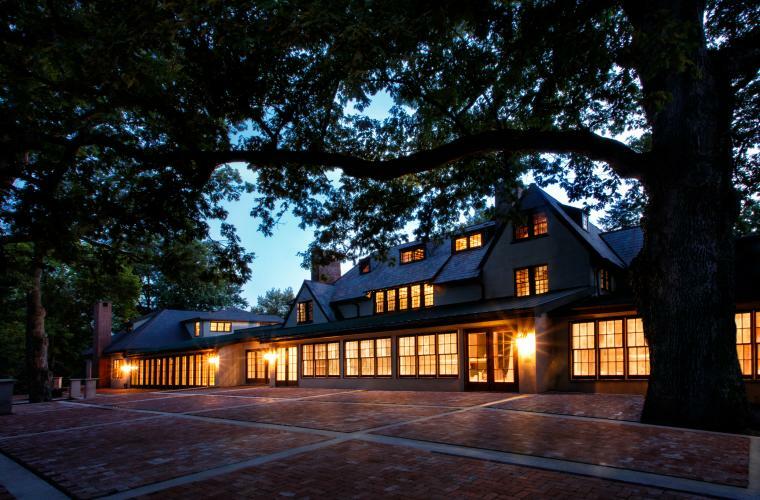 Relaxation will set in the moment you arrive on the manicured five acres of the award-winning Inn at Bowman&apos;s Hill. Treat yourself to a soothing massage in the privacy of your own suite and stay relaxed with a calming soak in the heated whirlpool tub. Rest in one of the uniquely decorated rooms or sleep in style in a suite for the ultimate romantic experience. In the morning guests can indulge on a gourmet breakfast prepared with fresh local ingredients. 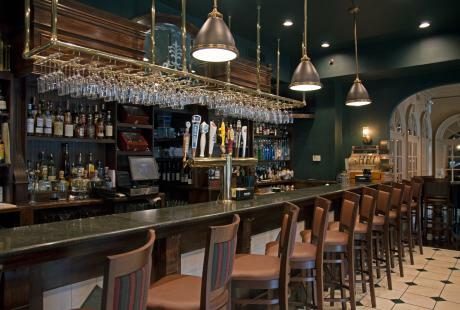 Hotel Du Village boasts 22 remodeled guest rooms with modern amenities and charming details! Check out a full view of the river, courtyard and manicured gardens. 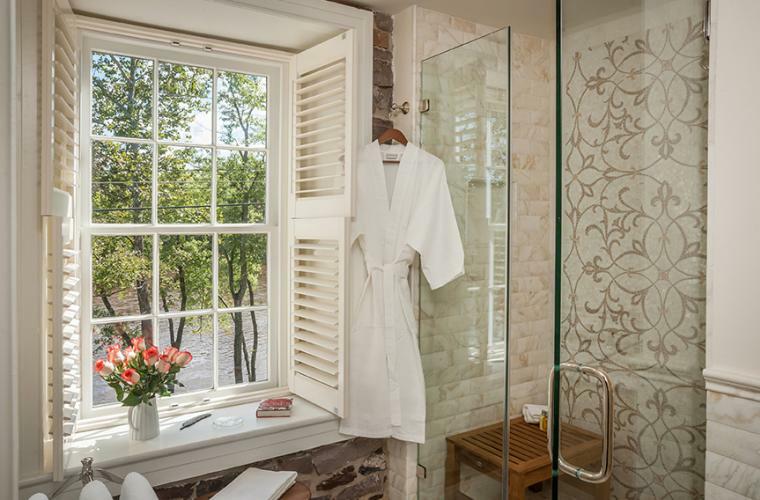 Get comfy and cozy in one of 1740 House&apos;s terrycloth robes and a comfortable chair overlooking the river! The waterfront rooms are remodeled with beautiful furnishings. Every natural view provides an unmatched location! 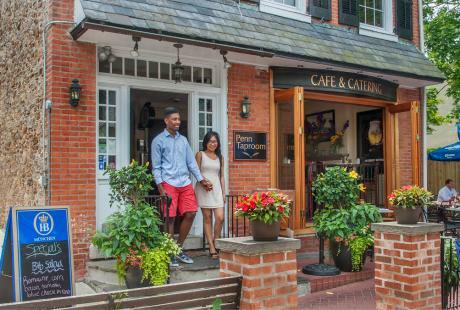 Escape to the country and experience lodging and casual fine dining at Bucks County&apos;s only inn between the Delaware River and Canal, the Golden Pheasant. This beautifully restored 1811 historic field stone inn is listed on the Registry of Historic Places and is a member of Select Registry, Distinguished Inns of North America. 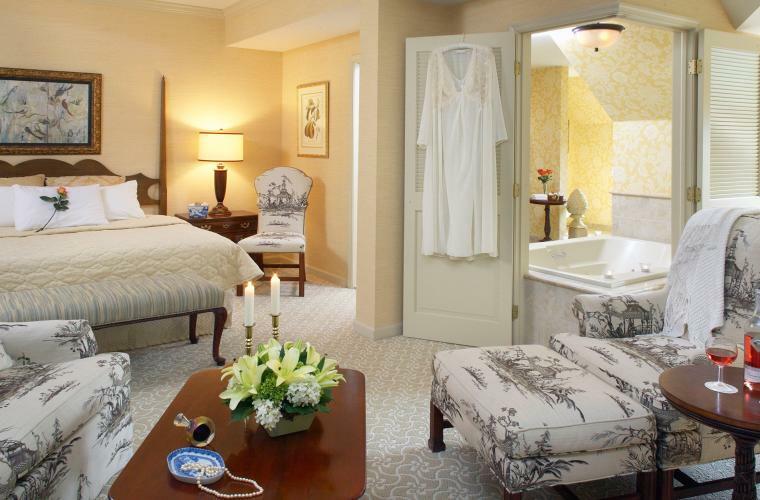 The inn features four fully restored guestrooms with marble private baths, water views and luxury European linens. Each of the Golden Plough Inn&apos;s 66 rooms is unique and designed for your comfort, convenience and pampering touches to make your stay even more memorable. 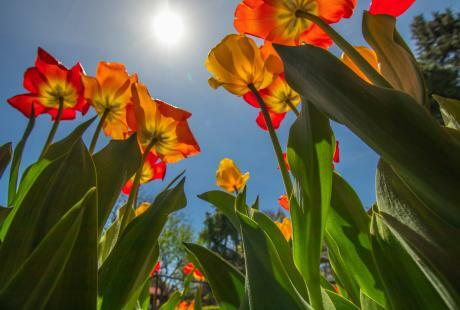 Enjoy nearby wineries, spas, shopping and restaurants.